Easter will be upon us before we know it, along with the sad reality that rabbits, chicks, and ducklings can be bought, sold, and given as gifts. After Easter, those darling bunnies and fluffy little birds will grow to several times their original size and become quite different animals. That is the moment when rabbits, chickens, and ducks are often dumped at the shelter or abandoned outdoors. Baby rabbits are fragile, definitely not appropriate pets for small children. Rabbits’ behavior will also change as they rapidly mature, with the result that they become less “friendly” and “cuddly.” People who bring rabbits into their homes want animals they can cuddle. The truth is that most rabbits don’t like to be held at all; they are ground-dwelling animals, and being “held” is similar to how predators would treat them. Rabbits prefer to be gently stroked and left on their own four feet, please. Further, rabbits are not “low maintenance” pets—far from it! They can live up to 10 or 12 years. They need to be spayed or neutered and live indoors as part of your family. 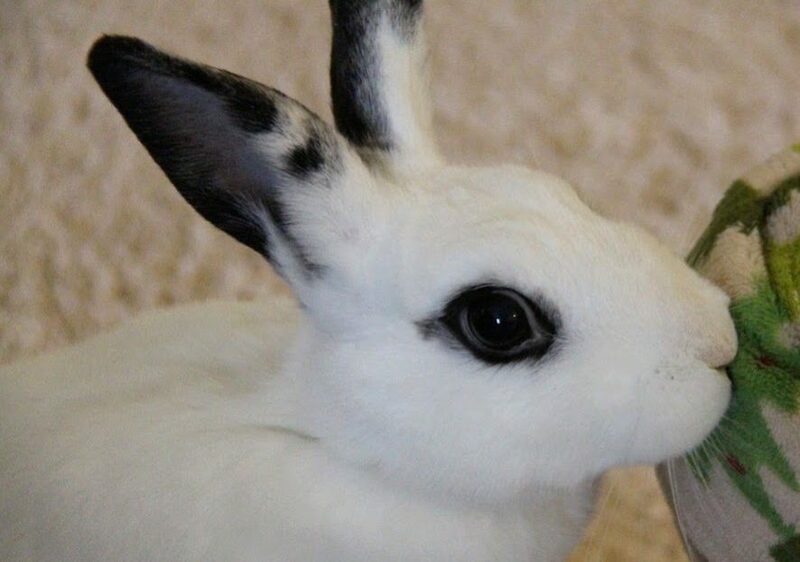 They require a special diet and attentive care, including veterinary care at a practice specializing in exotic animals and fully versed in the unique health issues and dietary requirements of rabbits. 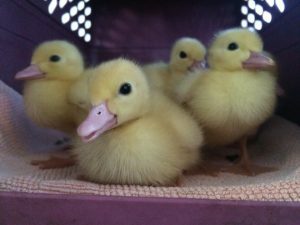 Both chickens and ducks need to be housed in an enclosed area such as a coop to keep them safe from inclement weather and predators. In fact, both species are largely outdoor birds. They must go outside regularly to be exposed to direct ultraviolet light from the sun so that they can produce enough vitamin D to enable them to absorb calcium from their food. 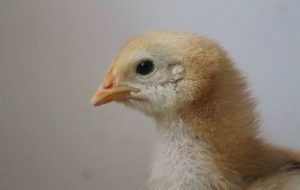 Without direct sunlight, their skeletons don’t form properly, their bones become brittle and susceptible to fracturing, their nervous systems don’t function normally, and egg-laying females needing calcium to form eggshells become at risk for egg binding—a life-threatening condition in which eggs become stuck in their reproductive tract. With all these considerations in mind, if you decide to assume the responsibility of caring properly for a rabbit, chicken, or duck, please do your research and then adopt from your local shelter or rescue organization—you will help save a life! Susan Stienstra coordinates social media and media campaigns for PAHS. She has more than 20 years of experience working for nonprofit organizations. She is also a licensed humane educator with House Rabbit Society, and in that capacity, has taught children and adults about rabbits and how to care for them. Her special passions are horses, rabbits, and wildlife. She is an excellent photographer.